PHILADELPHIA, PENN. 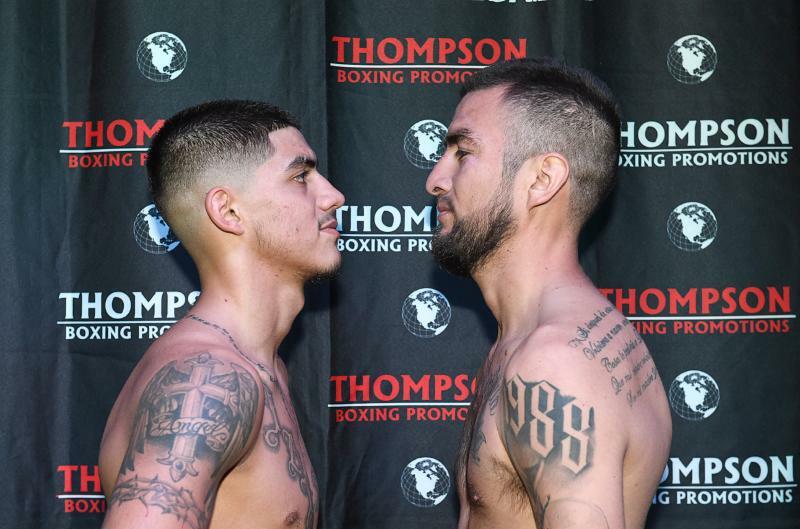 / ORANGE, Calif. (Nov. 16, 2018) – Top prospect Michael Dutchover (11-0, 8 KOs) weighed in successfully at Thursdays weigh in, measuring 134 lbs., while veteran Ruben Tamayo (25-11-4, 18 KOs) came in at the identical weight. Dutchover vs. Tamayo comprises the 8-round “Locked n’ Loaded” main event of Thompson Boxing’s season finale tonight, Nov. 16 , from the Doubletree Hotel in Ontario, Calif.
Dutchover, who turned 21 on Thursday, will look for his fifth win on the year. All fights will be live streamed on TB Presents: Locked n’ Loaded via our Facebook page. The livestream starts at 8:00 p.m. PT / 11:00 p.m. ET with Beto Duran as the blow-by-blow announcer and Josesito Lopez providing expert, color commentary.